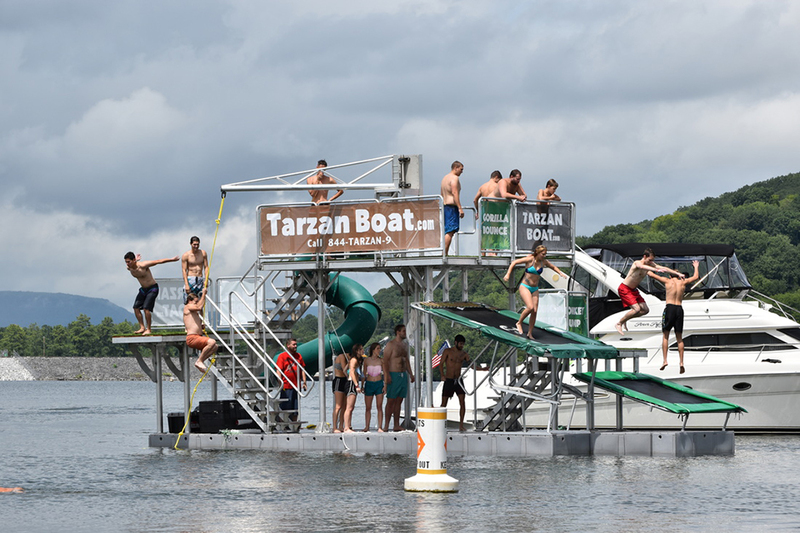 A mobile water park. 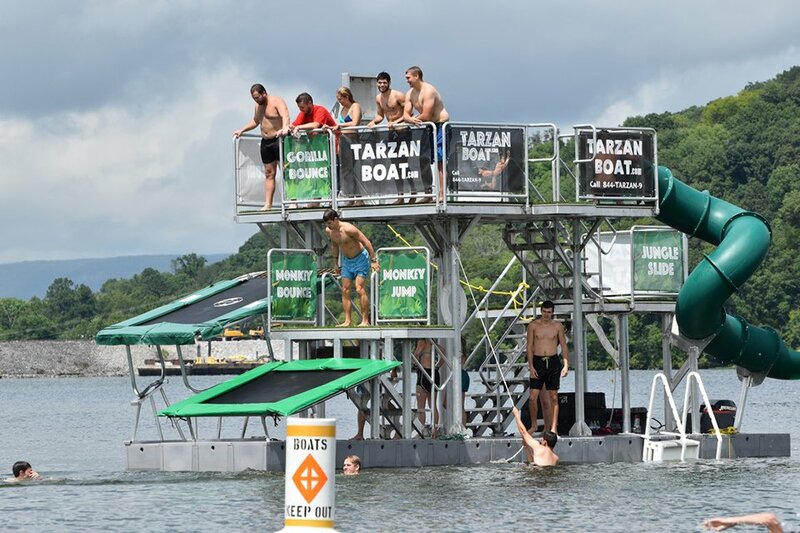 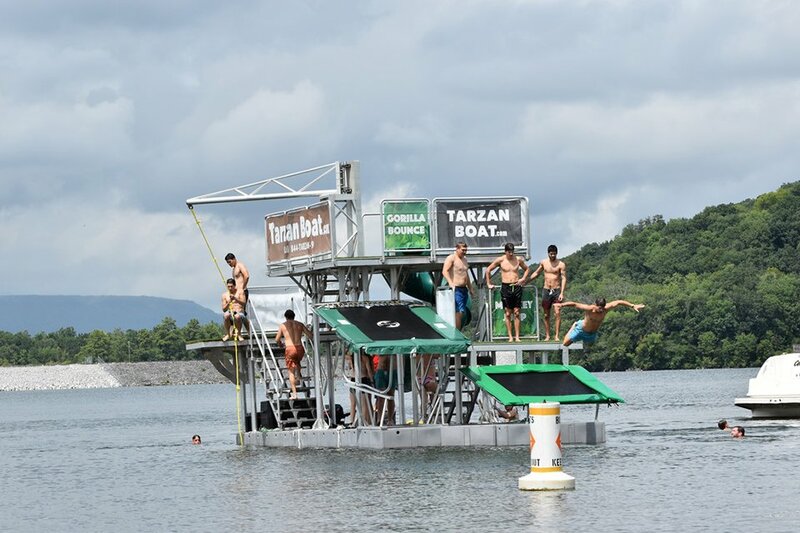 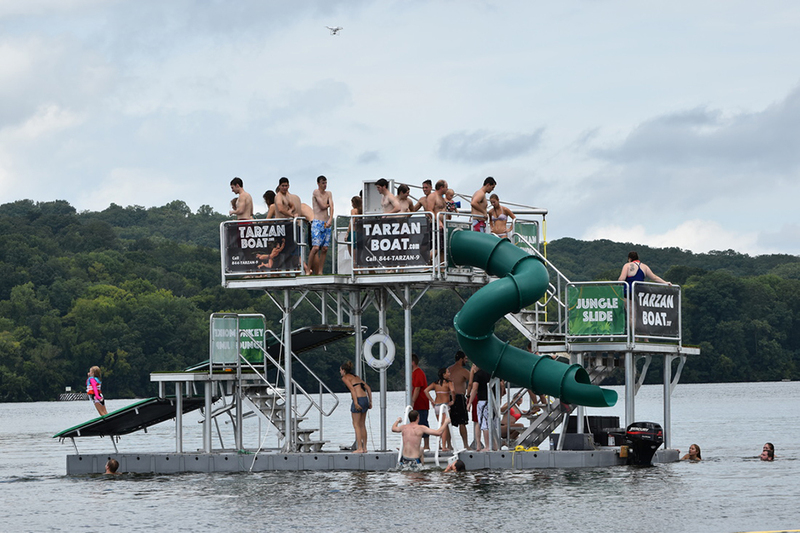 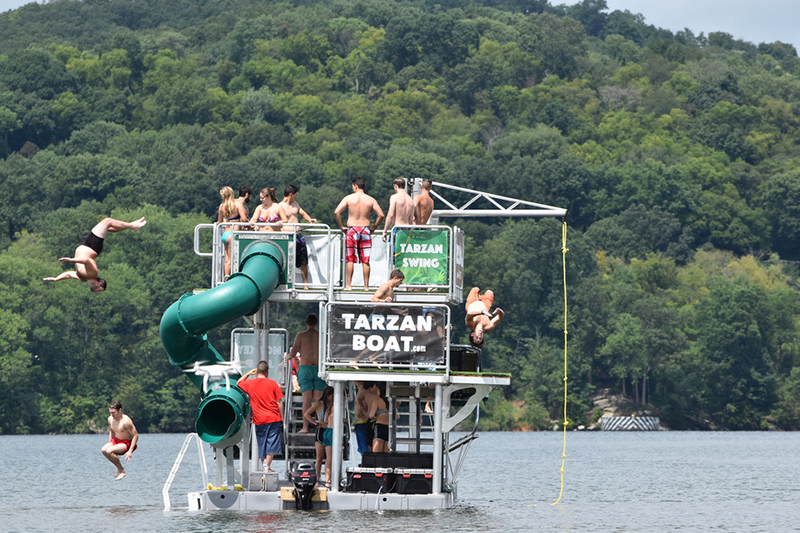 The Tarzan Boat has diving platforms, trampolines, nets and slides. 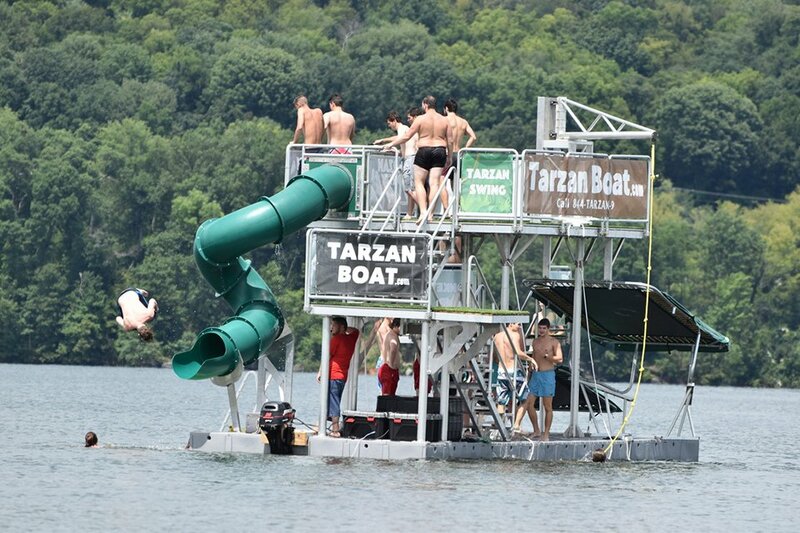 It also has an outboard engine, life jackets and other associated equipment. 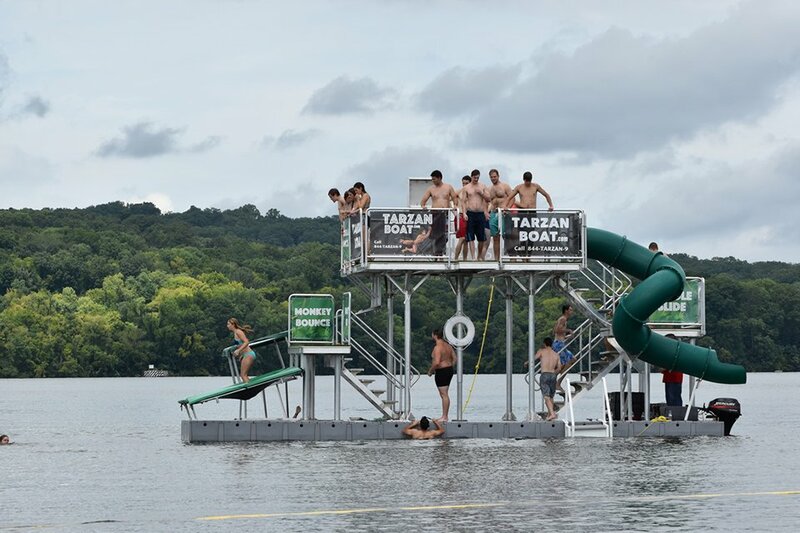 Also available for rental in certain parts of the U.S.